"We don't cut corners... we clean them"
I am writing to recommend H & K Janitorial Service as a reliable cleaning company. They have been working for us since August of 2007 and we are happy with their level of performance. During the past 25 years I have been using H & K Janitorial For our janitorial service. During that time Patti and her Father have always been reliable and provided us with outstanding service at a reasonable cost. I highly recommend them to anyone who is looking to replace or improve their current janitorial service. This letter is written to verify that H & K has been providing janitorial service for the past several years, and we have had beyond satisfactory service. Currently their crew comes in twice a week to perform duties that include but are not limited to: changing our garbage bins, vacuuming, dusting, and cleaning our bathrooms. Their staff communicates well with clients and their crew is very personable. E-mails are replied to in a timely fashion, and they are receptive to requests. I highly recommend their services. Please accept this recommendation letter of H & K Janitorial Service for the quality services that they have provided to our company for many years. Not only have they provided basic necessities for maintaining our facility, they have also taken care of our special needs such as tripping and waxing, carpet cleaning and ceramic tile care. 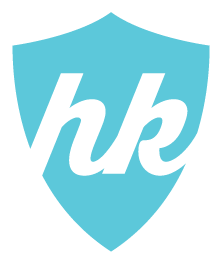 We are confident in their abilities and would recommend H & K Janitorial Service. This letter is to recommend H & K Janitorial Service. The quality and level of service we receive from H & K Janitorial is Excellent. We have done business with H & K for several years. The service they provide includes a weekly building cleaning & additional specialized options and great customer service. I'm confident in their ability and would recommend H & K Janitorial Services.